Books by Best-Selling Author Jack Sheehan. Available Now. 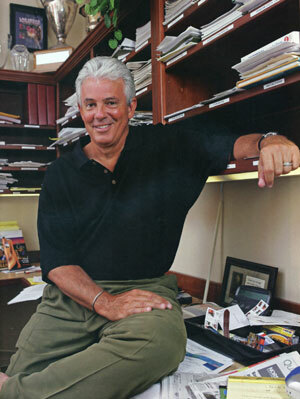 As a best-selling author, Jack has contributed over 1000 articles to over 100 national and international publications, including: Sports Illustrated, Golf, Golf Digest, Readers Digest, Psychology Today, Endless Vacation, LA Times Sunday Magazine, Las Vegas Life, America West Airlines Magazine, and more. He has written 18 non-fiction books, including Buried Lies, Skin City, Class of '47, Quiet Kingmaker, The Forgotten Man, Embedded Balls, Above Las Vegas, and The Players: The Men Who Made Las Vegas. How Circus Circus's Bill Bennett Brought Middle America to Las Vegas. A biography told through in-depth interviews with those who knew the man, who as much as anyone built modern Las Vegas. Available November 2010. Quiet Kingmaker paints a fascinating portrait of a man who saw the potential of Las Vegas early on and then set about making sure his vision came true. Along the way, Parry Thomas raised a fine and successful family and helped many entrepreneurs see their own dreams realized. Elaine Wynn sums up the man: "There's no one who had a broader view of what Las Vegas could become than Parry, nor is there anyone who had better intentions for the direction the city might go." This New York Times bestseller took readers inside the ropes of professional golf and shared with them poignant, insightful, and hilarious stories that were excerpted in numerous magazines and anthologies, including Chicken Soup for the Golfer's Soul. In The Class of '47: Annapolis-America's Best, author Jack Sheehan gives us a fascinating personal look at some of the notable Annapolis graduates from this one amazing year. World War II ignited American patriotism and filled the nation's military academies with thousands of young men eager to serve their country. No military class, however, turned out to be more accomplished or better prepared to change the world than the U.S. Naval Academy class of 1947. Las Vegas has been described as "the last great, mythic city that Western civilization will ever create," and its brief, phenomenal history has been largely shaped by a handful of colorful and astute casino operators who turned a dusty desert town into the gawdy, booming holiday mecca that it is today. The essays in this book introduce us to these "players" and outline the decisions that led them and their chosen city to unparalleled heights of success. Sheehan collaborated with famed photographer Robert Cameron, who has photographed most of the famous cities in the world in his Above series, to create a beautiful coffee table book celebrating Las Vegas. In each city he photographed, Cameron chose a noted writer who resided in that particular city, to add prose to his pictures. Among them were Alistair Cooke, George Plimpton, Herb Caen, and Jack Sheehan. For Outstanding Land Travel Article In The United States titled, "The Loneliest Road in America" which appeared in Endless Vacation Magazines. For "Buddies", optioned to Warner Brothers Motion Pictures and ABC television. Inducted into the Las Vegas Golf Hall of Fame in 2009 and received the Lifetime Achievement Award Vegas Golfer Magazine in 2007.